develop writing, reading, and research skills. learn to work effectively with your advisor. work through issues of scholarly identity and authority. I have spent the last six years working intensively with graduate-level writers on the entire range of skills and personal competencies needed to complete their degrees successfully. 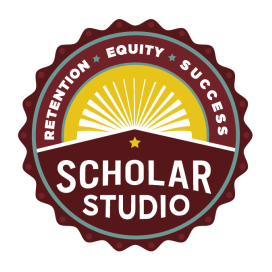 The ScholarStudio Thesis Boot Camp is the fruit of this work--a curriculum that takes a holistic approach to graduate-level success. The Thesis Boot Camp recognizes that writing practices are embedded in disciplinary, social, political, and economic contexts and works with students to learn how to navigate these spaces. WHY SHOULD YOU BE A BETA TESTER? 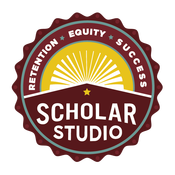 ​As a Boot Camp Basic Training beta tester you get access to great instruction that will help you clarify your thinking about your project, build a sustainable writing practice, and spare you preventable stress. The Boot Camp Basic Training includes a workbook with great exercises to get you thinking, organizing, and moving forward. You get great instruction FREE. I get great feedback. We all win. Beta testers come from 25 countries, dozens of universities--and counting! London Metropolitan University - DAS Academy (Singapore). Yes! I want to be a Thesis Boot Camp beta tester! Success! Please check your email for a sign-up confirmation and link to the free Beta Test course. "It sparked a few more research questions I'd not thought of before, specifically the question about stakeholders. It made me write down how to re-motivate myself when I get stuck for drive. In short, it clarified some of my previously unwritten inner thinking, which is often not accessible when you hit a brick wall. Put it on paper, and it is."